Here at Who What Wear UK, we’re always on the lookout for a hot-ticket accessory. We know, it does sometimes feel as if there’s a new It bag popping up on a weekly basis, but sometimes there really is just one killer item that gets us all talking. The piece that’s on all of our minds right now? It’s the Boyy bag. Haven’t heard of it? You could well be forgiven for not knowing this street style–approved brand—it’s not an obvious choice, and without the look-at-me finish of a flashy designer bag, it could easily pass you by. But let us reassure you that this has quickly achieved cult status, and it’s not hard to see why. It’s so versatile and wearable it’ll undoubtedly become your go-to piece; plus, the classic aesthetic means it won’t date quickly like other statement pieces, making it a real investment buy to see you through this season and the next (and the next). There’s a number of iterations, from the everyday practical bucket bag to the classically inspired top-handle tote. We’re pinning this to be the hardest-working handbag in your wardrobe. Click through to see how the style set wears theirs and to shop our favourite styles. 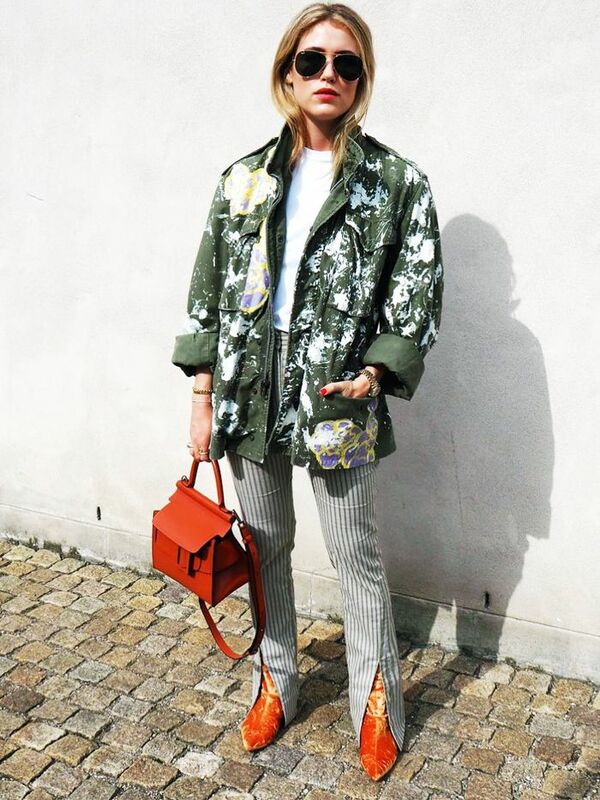 Style Notes: Annabel Rosendahl added instant polish to her cool khaki ensemble with the orange Karl Boyy bag. Style Notes: Super-stylist Anne Charlotte Vogel is always ahead of the game when it comes to accessories. Take your cue from Anne and offset a standout look with the seriously practical but incredibly chic Bobby Boyy bag. Style Notes: Proving just how versatile the hero black version can be, Vogel switched up her look and styled it with a classic camel coat, printed dress and red sock boots. Style Notes: Fashion editor Jeanette Friis Madsen is another fan, teaming her punchy red version with an equally chic crochet knit. Give your office attire an update with a classic black tote. The bucket bag is big news for autumn. Subtlety not your thing? Try the mini khaki version with gold chain detailing. This has jumped straight to the top of our wish list. Next up, 11 statement-making sweatshirts you need in your wardrobe.